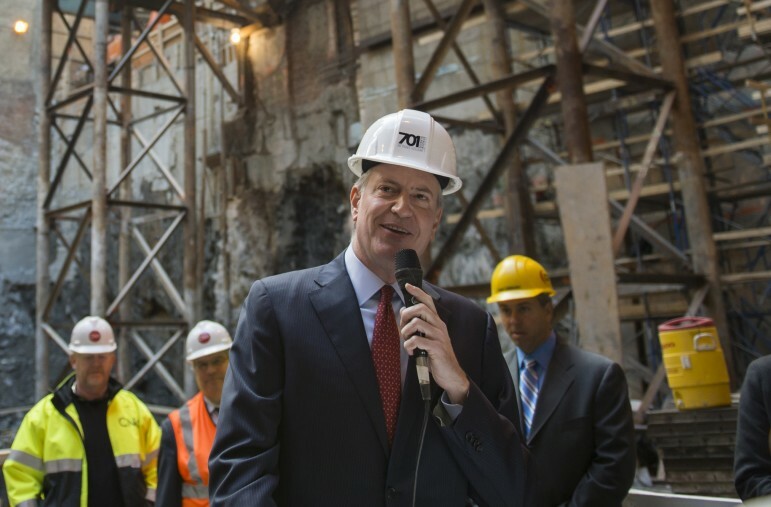 De Blasio at an earlier ground breaking ceremony. On Friday, the mayor committed more funds to the creation and preservation of units affordable to families making below $40,800. Last month, City Limits reported that the de Blasio administration was surpassing its goal of dedicating 20 percent of the total units in its ten-year affordable housing plan to families making below $40,800. Of the housing created and preserved in the administration’s first three years, 28 percent served that income bracket. Low-income housing advocates applauded the news, while still demanding more housing for such families, who make up roughly 44 percent of New York City’s population, according to the census. Today, the administration announced in a press release that it would dedicate an additional $1.9 billion to the two housing programs best suited to target such families. Instead of 20 percent—40,000 out of the promised 200,000 units in the ten-year plan—the administration said it would ensure 50,000, or 25 percent of the total units, serves those families. Half of the additional 10,000 units will be set aside for seniors, and 500 for veterans. That brings the number of housing units for seniors up from 10,000 to 15,000, a move heralded by senior advocates. Considering that the de Blasio administration already surpassed its 20 percent target in the past three years, it doesn’t seem like the new goal should be too hard to reach. But it signals the mayor’s awareness of the criticism that the plan does not go far enough to help the poorest New Yorkers—and a commitment, over the next seven years, to continue going above its original targets. “We are taking our record progress on affordable housing and driving it even deeper. This crisis is hitting seniors on fixed incomes, veterans and struggling families especially hard. We’re fighting for their right to live in this city,” de Blasio said in the press release. Housing advocates have been most concerned about the number of units for families in the lowest income bracket, those making less than $24,480. The administration has so far surpassed its original goal of dedicating eight percent of total affordable units to families in that income bracket; in the first three years of the plan, 14 percent of units created or preserved served such families. With the additional funding, the administration estimates that 10 percent of the total units created or preserved in ten years will serve this bracket. Emily Goldstein of the Association for Housing and Neighborhood Development (ANHD) says that while the announcement doesn’t signify a huge increase in the number of units for families making below $40,800, she hopes it signaled the administration’s commitment to rethinking its priorities. “We’re glad to see this, and it’s a step in the right direction, but in my mind, it’s a question not just of shifting unit counts around a bit, but one of: Are we going to actually take a step back and ask what are the real housing needs of our city?” she says. The press release also highlighted the mayor’s announcement last week that he would again seek to convince Albany to impose a “mansion tax” on real-estate transactions of over $2 million. The proceeds would be used to fund rental assistance for 25,000 seniors making less than $50,000 a year. Republican lawmakers opposed such a tax last year, but de Blasio hopes that the current political climate in Washington might motivate Albany to take action this year, Gotham Gazette reports. “Any increase in the number of units receiving subsidies is of course to be welcomed by housing advocates. However, announcing this marginal increase when it depends on a mansion tax that may never happen, and in an election year, may not yet be worthy of applause,” wrote Hunter Professor Tom Angotti, a critic of the mayor’s housing plan. Others, however, heralded de Blasio’s push for the mansion tax, while lambasting Gov. Cuomo’s response to the housing crisis. “At the crux of Mayor de Blasio’s announcement is the critical, progressive belief that increasing taxes on the most fortunate to improve the lives of those least fortunate is good public policy and a moral imperative,” said VOCAL New York and Make the Road New York in a statement sent to City Limits. 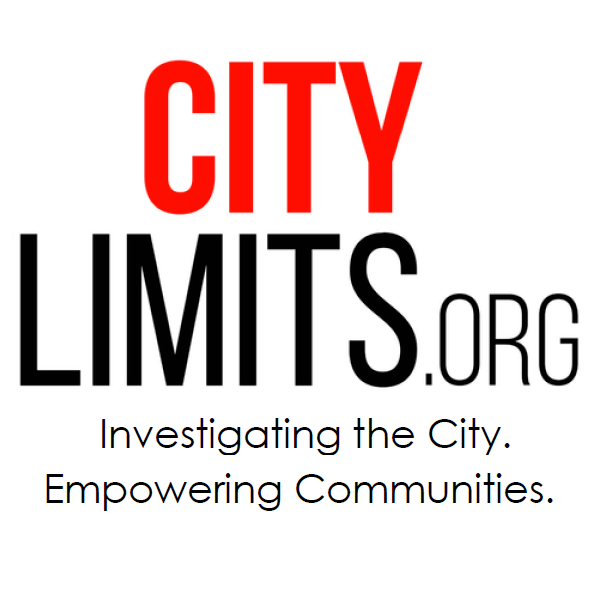 “The mayor’s actions stand in stark contrast to Governor Andrew Cuomo, who has played politics with the release of funding to create supportive housing, has decreased funding to end homelessness during his time in office and was responsible for our city’s largest spike in homelessness when he and former Mayor Micheal Bloomberg allowed the Advantage program to expire due to bickers, sending over 8,500 families back into the shelter system,” it said. There’s no information in this article about how many actual units have been created. There were good intentions, but some boards and certainly the Bloomberg administration underestimated the threat of gentrification, board members say. In the three days before the final State of the City address before he faces re-election, Mayor de Blasio unveiled two major shifts to address critics of his housing policies. On Friday, he revealed a major shift toward lower-income families in the allocation of units to be created under his housing plan. A weekend summit reviewed the nuances of changing density in the neighborhood, where there are relatively few public sites on which policy—rather than the market—would determine what gets built, and for whom.